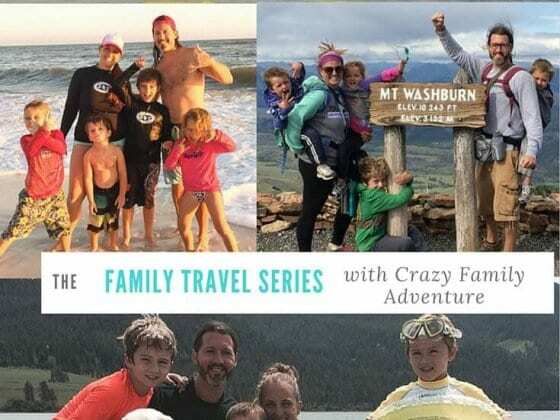 Welcome to our family travel series where we interview other family travelers to show you how they make travel with kids a reality. You’ll hear from budget travelers, luxury travelers, families with babies, long-term travelers, digital nomads and those who fit travel inside a busy family and work lifestyle. How do you fit travel into your lifestyle? How do you plan for your travels? What about savings and budget – what’s your approach? What things do you sacrifice in order to travel? What do your kids think of travelling with you? Do they help you plan it? How? 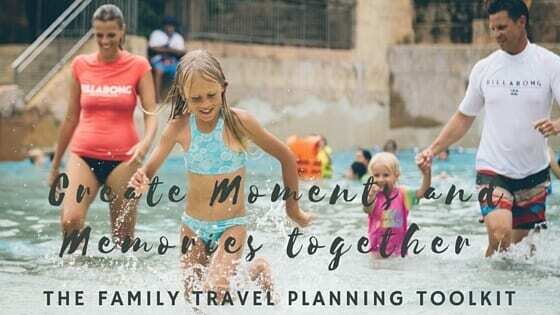 Want help with planning a travel experience the whole family will love? Do you have a funny or horror travel story to share? How do you cope with the challenges of family travel? What do you love most about travelling with your kids? What do you hate about travelling with your kids? Do you have any great resources you can share for helping people travel with their kids? Places to find great deals etc. 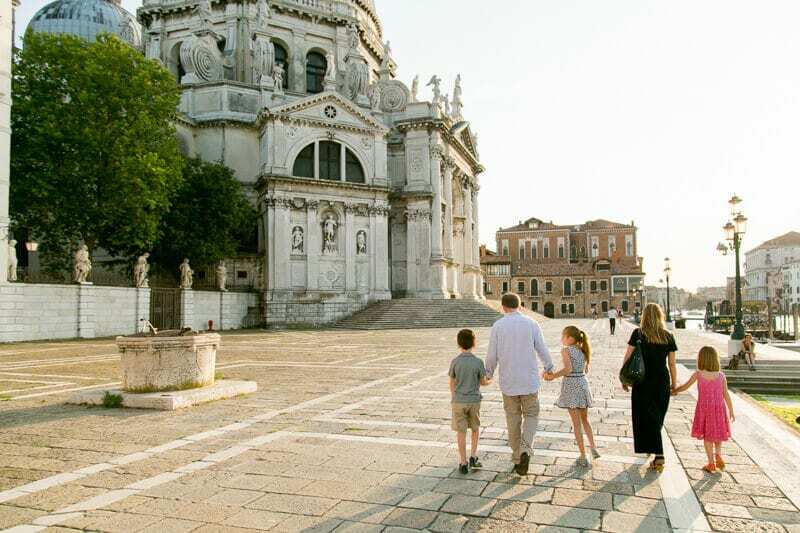 What are some of your dream destinations to travel with kids? Yay. We have a Dad stepping out to be interviewed!! 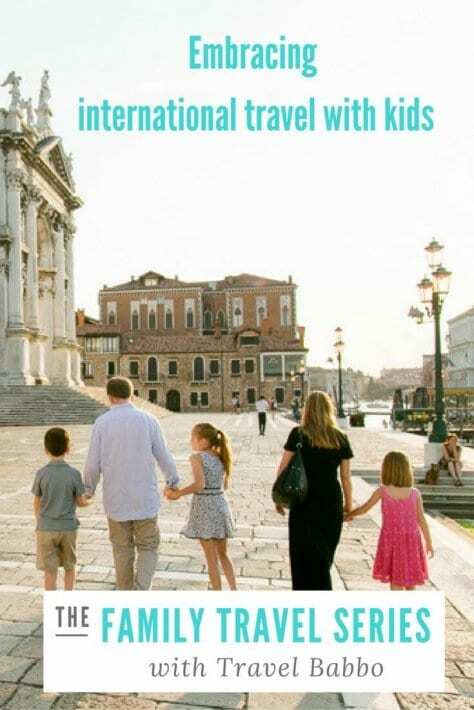 Eric is the founder of Travel Babbo and writes about his travel adventures with his three children. He also shares beautiful photos on his Instagram feed. I loved reading Eric’s answers to these questions, especially about the special trips he takes with his children each year. I am inspired to do the same! We travel with our kids during school breaks, typically internationally, and we head to Europe for 5-6 weeks every summer. I also let each of my kids choose anywhere in the world every year for a one-on-one trip with me. Up until fifth grade or so I don’t mind pulling the kids out of school for a week for those trips. Otherwise, I’ll fit those in during the summer when we’re not traveling as a family. I have three kids – 6, 8 and 10. Anywhere we go, I want to stay in the kid-friendliest place in the best location. That means that sometimes we’re in five-star beach resorts and sometimes we’re in centrally-located boutique hotels or Airbnb rentals. I’m an obsessive planner. I sketch out our travel a full year in advance, booking hotels at that point so that we get the places and rooms that we want. I start to monitor airfares and frequent flier ticket availability as soon as tickets are in the system, roughly 330 days in advance, and book whenever I think we’re going to get the best deal. There are some things we’ll splurge on, like nicer hotels, business class (flat beds) for overnight flights, reserved airport pickups and private kid-friendly tours, and other things that we never think are worth the expense, like fancy restaurants and business class for daytime flights. And travel is based around families of four – think taxis, hotel rooms and cruise cabins – so a lot of my challenge revolves around reducing expenses for our family of five and not doubling expenses if I can avoid it. It’s not a major sacrifice, but we minimize gift giving at Christmas and for birthdays. We would rather spend money on memories than on stuff. They love seeing new destinations and having had first-hand experiences in 40+ countries that they reference when they’re studying places in school. But they hate posing for photos – which is why we have very few family photos, and most pictures that I post show them walking away from me! The kids get to plan all elements of their one-on-one trips with me, starting with the destinations. For other trips, the kids all give input about where we go, where we stay and what we do. Every trip we take is all about the kids, so the more they’ve helped to plan, the happier they’re going to be. Click the image for immediate and free access to the toolkit. 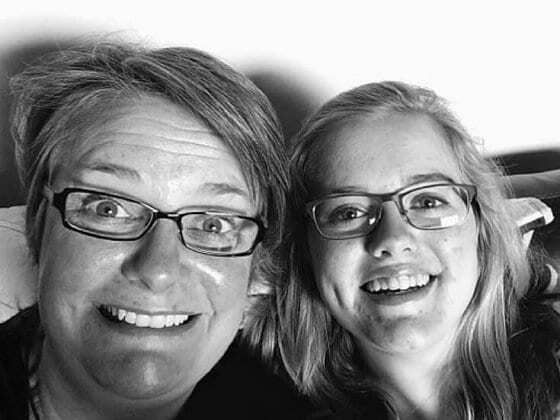 I’ve now lost my older daughter twice overseas – when she was 5 in Hong Kong and 6 in Paris. The second time she was gone for over half an hour before we were reunited. There’s a police report somewhere in Paris with my name on it! At least now the kids know that if they get separated, they should stop immediately and we will find them. It makes it a lot harder if both of us are moving. The primary challenge is that when the kids get bored (especially during down time on hot days), or when we push them too much, they get restless and start to argue. So we bring activities: pens; coloured pencils; paper; scissors; Frisbees; and playing cards. Electronics (iPods, iPads) come in handy for travel days, really long meals and breaks. I love seeing the world through the kids’ eyes. I enjoyed traveling to 60+ countries with friends or solo before I got married, but it’s so much more rewarding to be with the kids. And I love planning things around them. It’s easy to go to Hong Kong and hit the main sites, but it’s a fun challenge to find the things that the kids are going to enjoy. It’s like a big Venn Diagram – find the kid-friendly activities and the cool/fun/unique activities and see which things can fit both categories. I’m always really paranoid about disturbing other guests wherever we’re staying, so I hate when the kids start fighting. Always take the earliest flights. I don’t mind waking the kids up at 3am if I need to in order to drive to LAX for a 6am flight. Those flights are virtually never delayed, so we rarely have any sort of travel issues. Always call or email a hotel before booking if you’re looking for anything out of the ordinary at all – better rates, the best setup for a family of five, etc… Reservation agents are far more flexible than online hotel booking systems. Minimize crowds by arriving at major tourist sites early and by skiing and visiting theme parks mid-week. We don’t travel based on deals so I don’t utilize many budget-travel resources. Rather, I look for the best possible prices for the destinations/hotels/activities that we want. That involves contacting hotels directly (per my advice above), using Google a lot, searching often in Travelocity, and being flexible with dates when we need to be. We honestly don’t have any dream destinations because anything that we want to do, we plan. The most recent suggestions from the kids are the Giant Panda Centre in Chengdu, China, Carnival in Venice and the Cirque du Soleil camp at Club Med in the Dominican Republic. We’re working on all of those in the next year. And I’ve always wanted to go around the world in one itinerary, so I’m doing that with my 10-year-old in August – seven stops in six countries on four continents in two weeks. I can’t wait! I’m at travelbabbo.com and on all social media as @travelbabbo. Instagram and Facebook are the best places to follow me. Eric’s travels are so inspiring. His IG account is one of my favorites! And good advice about what kids should do if they get lost–it’s so much easier to find them if they stop and ask for help!